Medion has unveiled its latest sat nav the GoPal E3215 Glamour Edition – and the 'purse-sized, pearlescent pink design' probably suggested it is targeted at the female market. 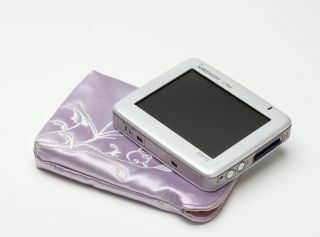 The portable device sports a 3.5" touchscreen, the latest GoPal software with the now obligatory points of interest, and detailed information from Berlitz on 50 of European's capital cities. Perhaps more importantly Medion's GoPal E3215 also comes pre-loaded with Western European maps, TMC traffic updates, has pedestrian and cyclist routes and a matching carry case that, you guessed it, is pink. The E3215 will be available at Sainsbury's or Medion's online store from early June.